This highly illustrated alphabet book offers an engaging way to share Kansas symbols, lifestyles, and stories. The colorful images include a buffalo, cowboy, farmer, and jackrabbit. 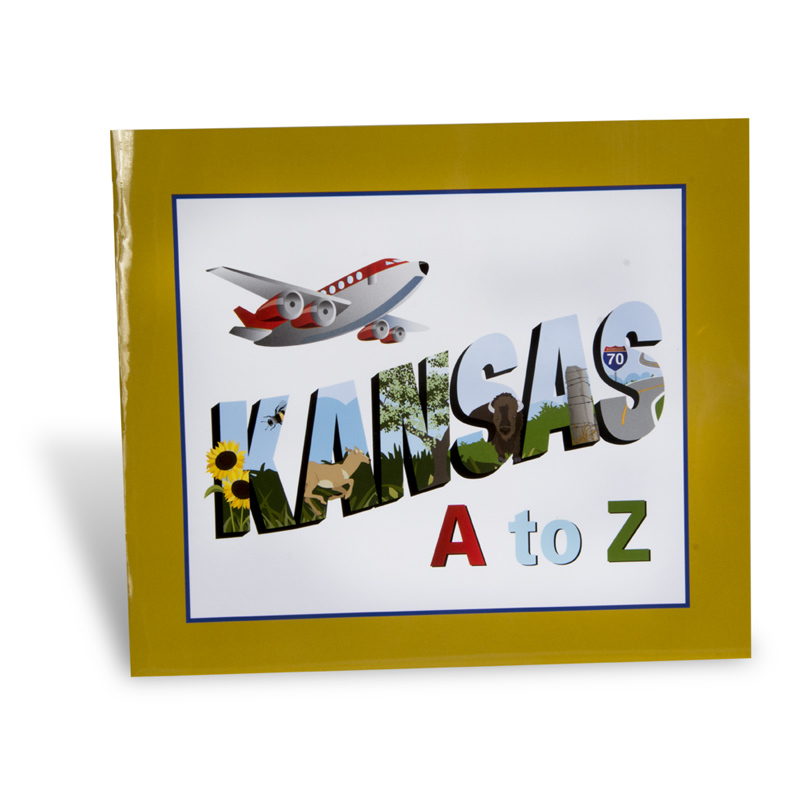 From airplane to zither, “It’s clear to see from A to Z Kansas is the best place to be!” 2013, 28 pages, paper.